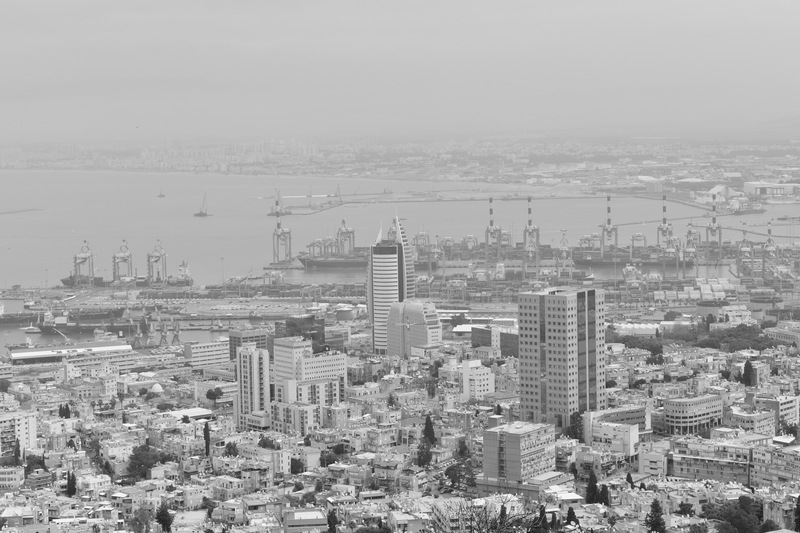 When we visited the Holy Land last month, we went to the city of Haifa, the third largest city in Israel. Haifa is where Mount Carmel is located. Mount Carmel, as you probably know, is the site where prophet Elijah, as recorded in the Bible, challenged the prophets of Baal in where his sacrificial offering was set ablaze by a fire from heaven. But that’s for another post. What I want to feature now is another popular tourist site also found in Mount Carmel, the Baha’i Gardens. The Baha’i faith is a religion, which started under 200 years ago by a Persian, of the name Siyyid Ali Muhammad Shirazi, who proclaimed himself as the prophet Bab (Bab means “gate” in Arabic). Today, some 7 million people practices this religion. 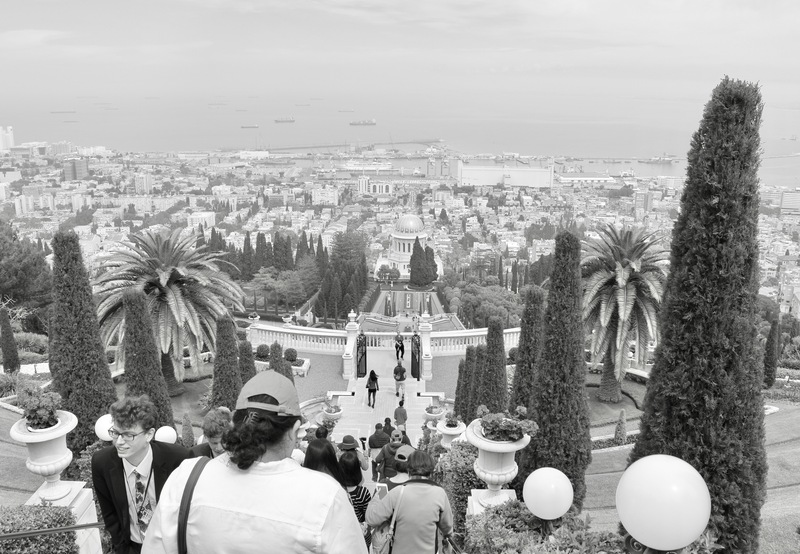 The Baha’i Gardens or also known as the Hanging Gardens of Haifa, are garden terraces around the shrine of the Bab. These gardens are relatively new, as its construction was started in 1987, and was completed and opened to the public in 2001. It has 19 terraces and has about 600 steps. From the garden terraces you can view the Mediterranean ocean, the port of Haifa, and part of the city. We entered the garden from the top entrance and work our way down through steep stairways. Definitely it was much easier going down than up, as long as you don’t get dizzy and fall down the steps. Starting from the bottom and going up the stairs will be a real chore, unless you feel like Rocky-in-training. The gardens are linked by a set of stairs that are flanked by streams of running water cascading down the mountainside through the steps and terrace bridges. These waters are fed by fountains on each terrace level. The Shrine of the Bab is the second most holy place for the Baha’is. The Bab was executed in 1850 in Iran and his remains were later brought to Haifa and laid to rest in this site in 1909. The original mausoleum was turned into this beautiful shrine built in the 1950’s, complete with a golden dome. Located also in the gardens is the Baha’i Archive Library which holds many of the sacred items of the Baha’i faith (photo below). Today, this garden and shrine attracts more than a million visitors a year. It is also a pilgrimage site for the Baha’is. And since this place is considered sacred, they would like visitors to be reverent and be quiet while visiting this garden. For sure it is a beautiful place just to be silent and reflect. I may not be a Baha’i pilgrim, but as a life’s pilgrim, I feel grateful and blessed to visit this magnificent place.